How to Samsung Galaxy devices install SABS or notSABS Simple AdBlocker Update: SABS and notSABS are can still be installed on most of the Samsung Galaxy devices. SABS gained a lot of popularity lately because of its stunning features. This is because SABS (Simple Ad-Blocker for Samsung) is a system-wide rootless Ad-Blocker and package disable available for free. It is just like Adhell 3, which is still in development but with more stability and features. Unfortunately, the project was abandoned because Samsung didn’t like it. However, you can still download and install latest version of SABS onto your Samsung phone using the source code and APK available for you here. For those who don’t know, SABS is a system-wide rootless AdBlocker, Package Disabler, permission manager and more that uses the Samsung’s KNOX SDK framework. You can easily block URLS, domains, disable system apps, remove permissions from apps. Although SABS was focused mainly towards Galaxy S8, S8+ and Note 8, it has also been tested on several other Samsung devices with Android version 5.0 or higher. Usually, blocking ads would require you to either root your Android phone so that apps like AdAway can update the host file in the root directory. The root Ad-Blocker method is the finest amongst all. However it requires a rooted Android phone. There are other rootless Adblockers out there. But they require a VPN connection or a VPN app running all the time. This will cost you your phone’s battery juice. This is where SABS comes into play because it uses Samsung’s very own SDK. Moreover, changes made with SABS are not permanent. You can any time reverse the system level changes due to Samsung’s KNOX tools. Though SABS project was abandoned, users of SABS were able to make a copy of the latest version of SABS “Simple Ad-Blocker for Samsung”. So you can still download and install the latest SABS APK onto your Samsung Galaxy devices running stock TouchWiz or Samsung Experience ROM. A working version of SABS. A Samsung license key (Knox key). And change the package of the copy of SABS to a different one. Original SABS Simple Ad-Blocker for Samsung phones can still be installed. notSABS, and alternative to SABS is also available with the latest SABS version 1; just cliek Adhell 3. If Google Chrome for Android does not block Ads, this is because of the recent DNS changes by Google. Sign in here with your Samsung account. Go to “Legacy SDKs” (Steps 3-7 are demonstrated in the picture here). Go to “Knox Standard SDK”. Write any word in alias. Copy the key. If the key starts with letters “KLM”, you didn’t follow the steps correctly. Complete the steps 3-7 again. In this step, we will be changing the package name for the SABS APK. We already have an APK which can be installed directly or use the source code zip. Moreover, we now have the new notSABS APK and source code which is a continuation of SABS to version 1.0.0. You can directly download and install the latest SABS modified APK from above and see if it works. If not, then you will need to download the source code, and open the project in Android Studio, change the package name, and install it. The steps are listed below. On your Samsung device, Enable USB Debugging on your phone – Go to Settings > About phone > Software information > Press rapidly about 10 times on Build Number until a message “You are now a developer!” appears. > Go back to Settings > Developer Options > Turn on USB Debugging. Connect your phone to your PC. When you see a popup on phone, select always allow from this computer to enable USB Debugging. Download the SABS source code zip from above download section to PC or computer. Now extract the SABS source code zip to PC. Download and install the latest version of Android Studio. Once installed, run the Android Studio exe file. Once it opens, select “Open an existing Android Studio project”. Choose the extracted folder of source code. Install the latest SDK and other files when asked. Follow the instructions on the screen. It may take time. When the project has been loaded completely, the progress bar will gone at the bottom. Form the left tab on screen, open the “Gradle Scripts” and then “Build.Gradle (Module:app)”. Find the line “applicationId “com.layoutxml.sabs”. Usually it is on the 24th line. Change the “com.layoutxml.sabs” to a random or unique sequence of letters and digits. Keep the sequence length same as before (i.e, 3.9.4). An alert should appear at the top of the screen. Select “Sync Now”. Wait for the project to load. In Android Studio click the Play button or simply press the keys Shift+F10. Select your phone and press OK. The SABS APK will be generated and installed on your phone. From the app, Enable Admin. 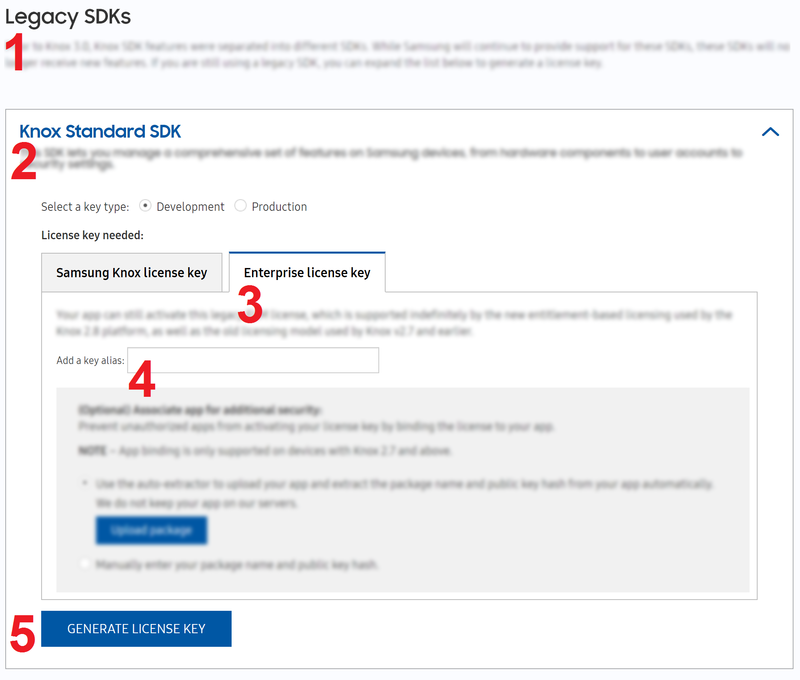 Enter the Samsung Knox license key in the field. Alternatively, you can also change the package name using your phone. Download SABS APK from above. Open “APK Editor Pro” app. Edit only the field “Package name”! as shown here. Select “Direct rename”, “Rename the package name in resources.arsc”. Do not select the other options. Press install and install again. Follow the instructions How to Samsung Galaxy devices install SABS or notSABS Simple AdBlocker.